Favorite quote: "Our original plan waved goodbye to us, stuck its thumb in its mouth, strained, and exploded." this captures the humorous narration that makes these books for me. 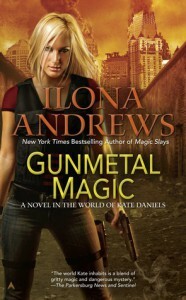 Honestly, Ilona Andrews are immune from making missteps. Everything they put together is gold.